Note! As shown in the image below …. Thermo’s page defaults to [Certificates of Analysis]. 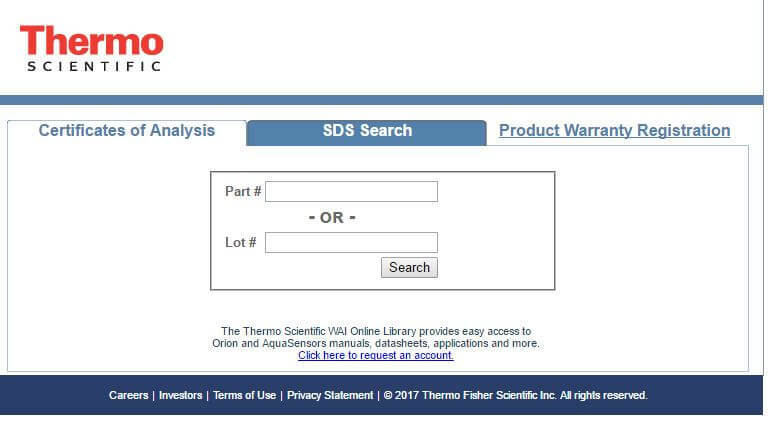 For [SDS Search] click on the SDS tab.